Calabria is a great destination for special occasions off the beaten path. Its beautiful hamlets offer the ideal venue where to celebrate a family reunion, an alumni & friends gathering, a destination wedding, a corporate event or teambuilding experience. To add an extra touch to your event in Calabria, make sure to entertain and educate your guests, friends or delegates with unforgettable experience. One example? Join a private tour of Calabria’s ancient villages, a travel experience that Italian Special Occasions can tailor to your needs and budget. 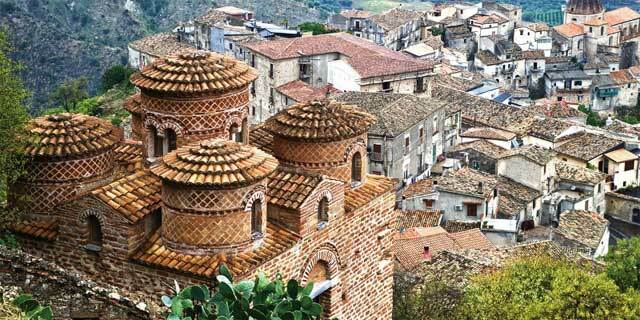 Here are some of our favorite hidden gems in Calabria. This town of medieval origins has narrow and uneven alleys, and its dominating colors are the white façades and the red roofs of its houses. The treasure hunt begins in the most precious icon of Aieta: built in the XVI century, the Palazzo is one of the few buildings of the Renaissance in Calabria. Among local religious places, the Chiesa Madre stands out thanks to its stone entrance, and the pillars decorated by Gerardo Rea (1756). Made of stairways and alleys going all around the main church, Altomonte offers the best example of Gothic-Angevin art in Calabria. Our first stop is in the XII-century castle of Norman origin: even though it now houses a hotel, it has maintained its original structure remarkably well. Panoramic views of the Esaro Valley can be enjoyed from the noble and austere Church of Madonna della Consolazione. Here you will feel a French atmosphere thanks to the Provencal influences of Filippo Sangineto, who enlarged the existing Norman church in 1342 in the style of the Angevin court of Naples. Bova’s cathedral features an exquisite Chapel of the Sacrament built by Sicilian masters specialized in colored marble inlay work. The ruins of the Norman castle (10th-11th century) stand at the top of a rocky spur. 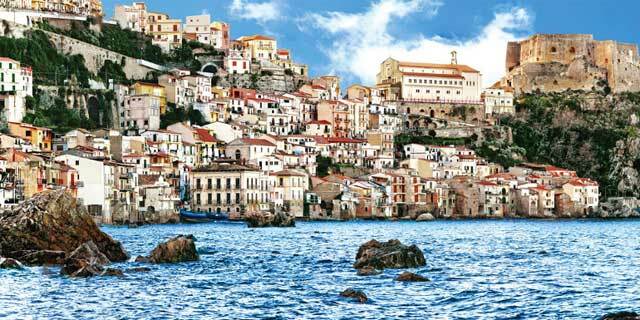 In fact, Bova itself is perched at 850 meters, from where you can admire the entire coastline. Our treasure hunt unfolds among other religious buildings, including the Church of the Carmine with a late Renaissance façade, the Church of the Immacolata with a Baroque carved stone portal, and the Church of San Rocco where services are held following the Greek-Byzantine rite. But the village also offers many noble residences that are worth exploring, including the 18th-century Palazzo Mesiani-Mazzacuva and Palazzo Nesci Sant´Agata. 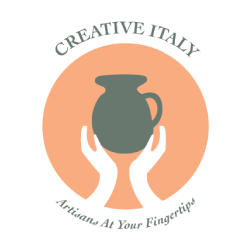 You will think that we have taken you outside of Italy and into another country for the treasure hunt, but in reality you are still in Calabria! Located in the heart of the Pollino Park, hidden between the rocks to escape from Saracen incursions, Civita safeguards the ancient traditions of the arbëresh people of Albanian descent. The urban structure of the town is very characteristic, made of neighborhoods called gjitonia (Albanian) that are not only physical but also define the local social organization. Most houses feature impressive chimneys, some of which are almost artworks built between the 1700s and 1900s. You will also notice some anthropomorphic-looking houses inspired by famous Albanian-Italian painter Ibrahim Kodra. Here is a video showing the arbëresh celebrating Easter with traditional dances, costumes and chants in Civita. Here you will explore the ruins of the local Castle, destroyed by Napoleon’s army in 1807 due to the presence of Bourbon rebels. The Church of S. Michele Arcangelo also faces the test of time and violence: built in 1540, it presents itself as it remained after the earthquake in 1638 and preserves precious canvas by local artists. Fiumefreddo Bruzio offers various sightseeing options, including the Churches of Santa Chiara (1552) and San Rocco (18th century), and the Castiglione-Morelli Palace from the 16th century. The treasure hunt will finish at the table, where you can savor the exquisite Filiciata, a dish with fresh cheese served on fern leaves. Archaeological findings have shown that this area was already inhabited in the Neolithic Age! 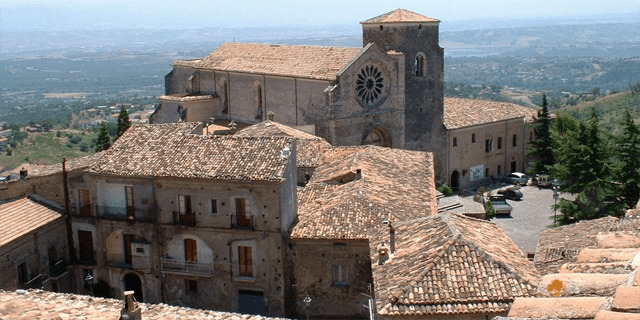 Gerace offers some notable attractions, including the old Normal Castle (started by the Byzantines in the 10th century) and the perfectly preserved medieval town. It also hosts the largest religious building in Calabria: Cattedrale dell’Assunta covers 1868 mq and features two aisles, each divided by 13 columns coming from the ancient temples of Locri. Can you find all the Baroque features hidden around Gerace? You will certainly not miss the splendid Baroque marble altar in San Francis Church and the Baroque-style portal of Sacro Cuore Church. Even the desserts in Gerace are Baroque: rafioli are made of sponge cake covered with cream, sugar and egg whites poured over as a decoration! Morano offers a unique scenario created by the stone of its archways, watch towers and an intricate mesh of roads, surrounded by the majestic hills. The overall vision resembles a nativity scene, with its humble homes descending to the valley and its labyrinth of alleyways rising toward the Castle. The ideal setting for an exciting treasure hunt! Morano is also full of lovely aristocratic palaces, including Palazzo Cozza with its angular portico, Palazzo dei Cavalieri Marzano with a characteristic red façade, and Palazzo Lauria with its beautiful Baroque portal. The journey around Stilo begins in its most iconic attraction, Cattolica, a small 9th-century temple with a Byzantine-style, square-Greek cross design. The monks of St. Basil (Basilians), who had found refuge from persecution in Calabria, were able to pursue their ideals of poverty and detachment from worldly concerns in Cattolica. Inside the temple, the frescoes – discovered by archaeologist Paolo Orsi in 1927 – are the only examples of 11th-century Norman painting in Calabria. Also not to be missed is the Baroque-style church of San Giovanni Theresti, decorated with stucco work and erected in the 1600s. Our scavenger hunt in Calabria’s historic hamlets ends with the hidden hint in the Arab-Moorish sculptures of the Fountain of the Dolphins… who will win the challenge? If you are planning a special event in Calabria and need a destination management company to support you with the organization, logistics, group activities and private tours, you can count on Italian Special Occasions for a bespoke, quality service.